Lindsay Lohan is up to some crazy weight loss tricks again. Her weight loss now includes cryotherapy and teatoxing. Cryotherapy means she’s jumping into ice baths, and other crazy things to lose weight. 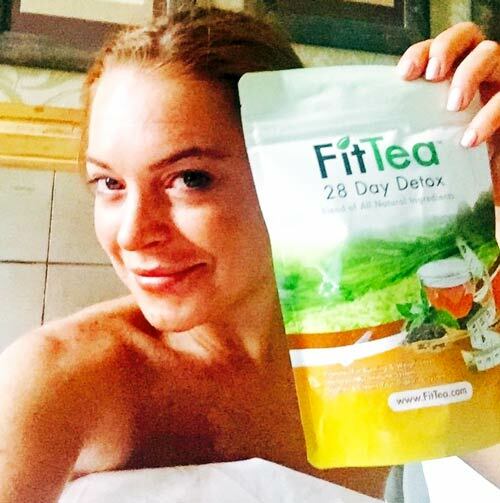 Lindsay Lohan is on a 14-day teatox diet. Teatox diets are a mix of a cleanse, herbal supplements and low-calorie diet. 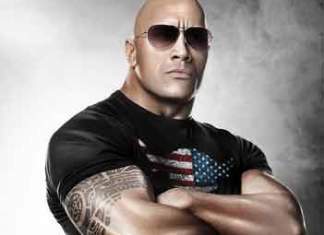 Many celebrities are on board the Teatox diet trend. This weight loss technique is beloved by The Kardashians. Kylie Jenner and Kendall Jenner have especially embraced the diet trend. Kendall Jenner is most famous for her love of Teatoxing. 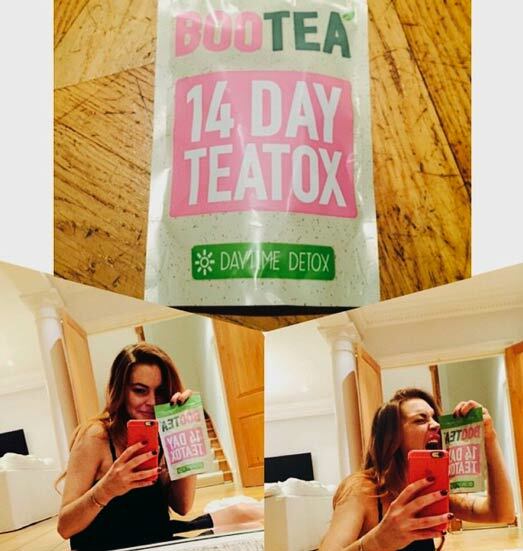 She claims to drink 12 cups of Fit Detox Tea a day, to lose weight! Lindsay Lohan uses cryotherapy to lose weight. This is where you immerse your body in a very cold environment. Doing so shocks your body. Not only can you lose weight, but it helps decrease inflammation. “Bloating” comes from your body being attacked by inflammation. Ice bath time! Getting ready for my week of hard work and my cryotherapy. Lindsay Lohan has been Teatoxing on her Instagram. A selfie of Lindsay Lohan waking up in the morning appeared on Instagram. She was photoed with her favorite diet drink, Fit Tea. Wake up. Drink Fit Tea. Repeat. 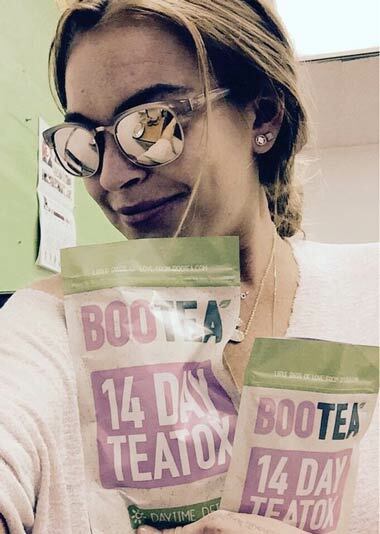 Love my BooTea 14 Day Teatox. So easy to use on the move! Provide energy all day long, boost metabolism. Can replace coffee or energy drinks. Natural fat-burner & appetite suppressant. Rid body of toxins and a natural cleanser. Getting ready for a healthy spring. Of course, this was also before she hit the cover of New Yorker magazine. Channeling Marylin Monroe may have had something to do with all this! 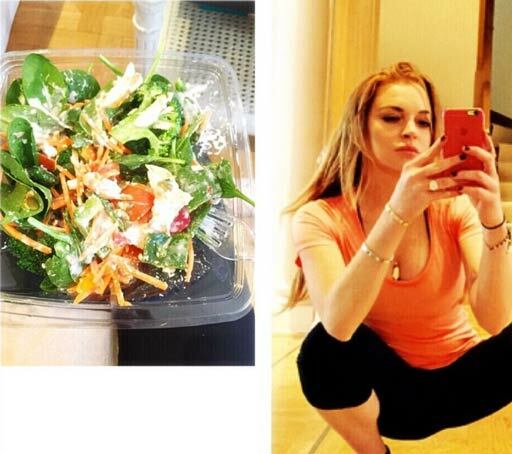 Lindsay Lohan revealed more about her diet by posting the Instagram pic, below. It shows not all her weight loss methods are crazy. Her weight loss tricks are in addition to a proper diet. The traditional 2 ways to lose weight are still what work. Here, Lindsay’s shows us diet and exercise are still central to her weight loss. 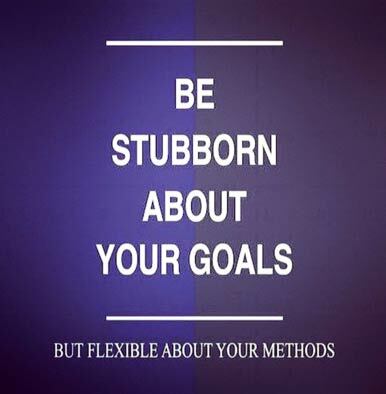 When it comes down to it, weight loss motivation for Lindsay can be summed up by this. Even if some of her weight loss tricks are crazy, Lindsay’s going to achieve her goals. Question her methods if you want, but not her results. Would you ever use cryotherapy? Like Lindsay’s Weight Loss Tricks? Share them now!